China was once a land of dynasties, one of the world's earliest civilizations that germinated in the fertile lands of the Yellow River delta. 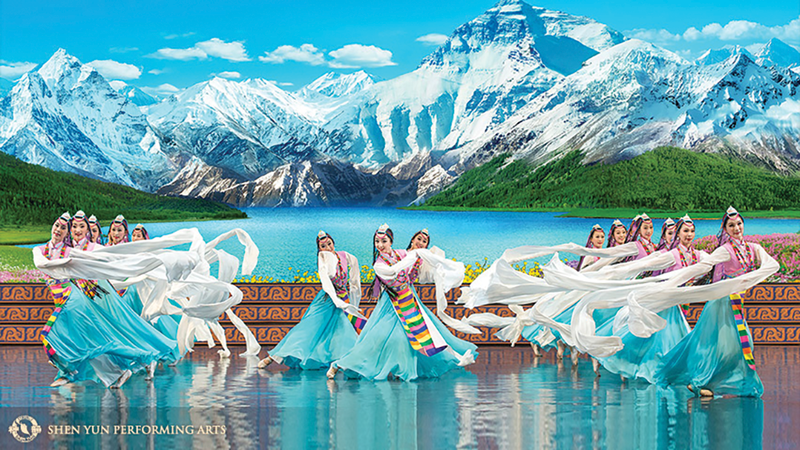 Shen Yun Performing Arts celebrates the country's long, richly patterned history with meticulously curated performances that incorporate classical, ethnic and folk dances from China; a full orchestra; and vivid animated backdrops. Established in 2006, Shen Yun aims to tell the stories accumulated through hundreds of centuries of Chinese art. These stories are, as the company openly explains, discouraged by the contemporary Chinese government, which has tried to shut the troupe down, attempting to persuade theaters not to book them. This persecution is rooted in the group's guiding spiritual practice, Falun Dafa, which combines meditation, qiqong movements and moral philosophy—a religion rooted in Taoism and Buddhism. Despite their traditional origins, the group is unable to perform in China. But that hasn't stopped them. Shen Yun has filled theaters across the world, expanding since their 2006 start to include six full troupes that tour the world, visiting more than 150 venues each year. Talented dancers flip, tumble and leap across the stage, and the entire performance is accompanied by a full Western orchestra augmented with ancient Chinese instruments, such as the erhu and pipa, and individual vocal soloists. Song texts are translated on background screens for Western audiences. For more than 50 years, Pioneer Theatre Co. has filled its seasons with an enticing combination of beloved Broadway musicals, theatrical classics and cutting-edge new plays. But since 2014, PTC has augmented those seasons with special single-weekend "concert version" performances of favorite musical shows, from The Rocky Horror Show to Chess to Lin-Manuel Miranda's In the Heights. 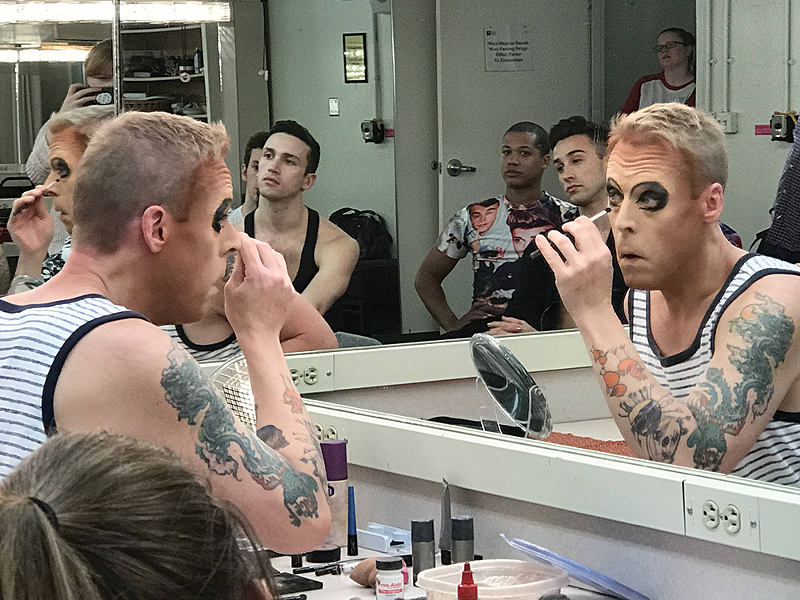 "PTC audiences really enjoy musicals," PTC marketing director Kirsten Park says, "and this was a way to offer more musicals than we could in a typical season." For 2019, that concert production is La Cage aux Folles, the 1983 musical version—with book by Harvey Fierstein and songs by Hello, Dolly! legend Jerry Herman—of the 1973 French play, which also formed the basis for the comedy film The Birdcage. The story deals with a gay couple, Georges and Albin, who run a Saint-Tropez drag cabaret and are forced to play it straight when their son brings home his fiancee, along with her ultra-conservative parents. Farcical situations, as they say, ensue. If he never did anything else as far as his career's concerned, Bob Saget's fame would still be assured. His eight-year run as Danny Tanner on ABC's Full House and its Emmy-nominated Netfix successor, Fuller House, made him a popular TV personality. An equally long stint as host of America's Funniest Home Videos furthered his perpetual presence on the small screen, as did his off-screen role as the voice of the future Ted Mosby on the hit show How I Met Your Mother. Still, Saget's moved well beyond those early career peaks, establishing himself as a stand-up comedian, movie actor, Grammy-nominated recording artist and well-respected director. The latter venture found him delving into more serious subjects, thanks to his work behind the camera for the ABC feature film For Hope, a story inspired by his sister Gay Saget and her struggle with scleroderma, an autoimmune skin disease that eventually took her life. 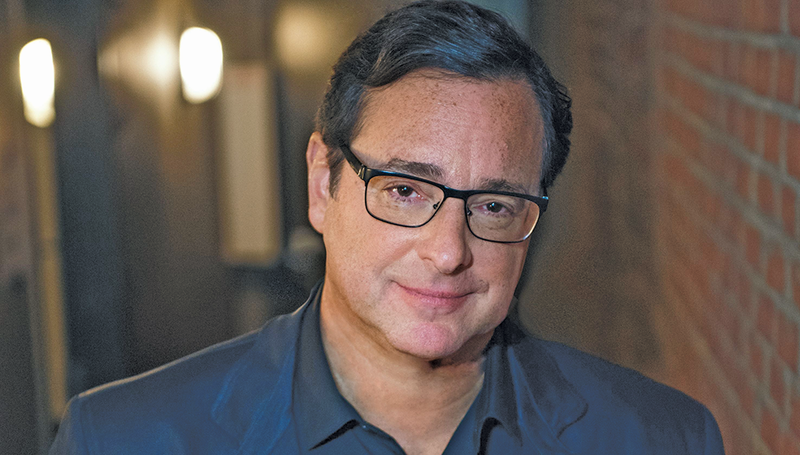 Nevertheless, comedy remains Saget's specialty—and his personal stand-up style tends to be more adult than his association with the squeaky-clean Full House might suggest. His upcoming projects include the new stand-up special Zero to Sixty, the upcoming dark comedy film Benjamin, the tell-all memoir Dirty Daddy and a new, apparently naughty, series coming to ABC aptly titled Videos After Dark, he's busier than ever. On St. Patrick's Day weekend, everyone claims to be Irish. 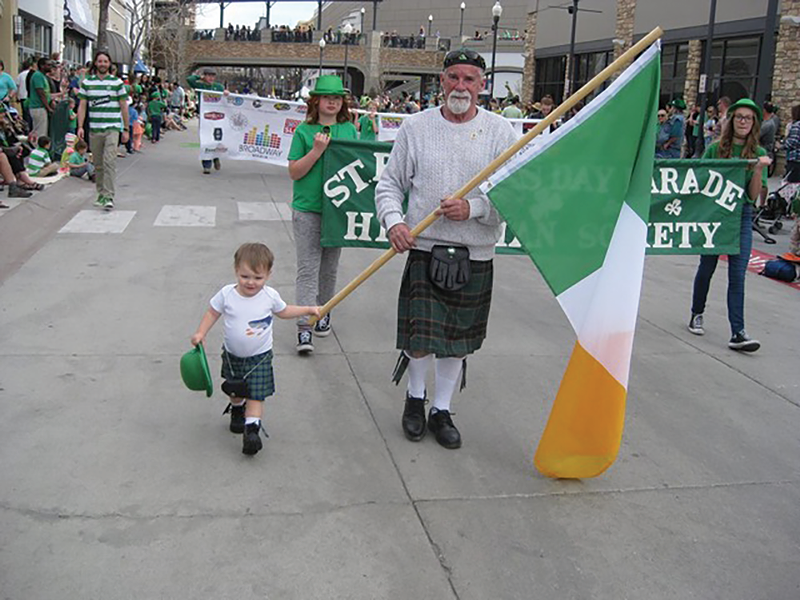 You can put on a green T-shirt that says, "Kiss me, I'm Irish," but a more convincing move would be to show up at Salt Lake City's annual St. Patrick's Day Parade, hosted by the Hibernian Society of Utah. While the mid-March weather in SLC might be dicey, the chances of the parade happening are not. "Rain or shine, not even St. Patrick himself could stop this parade," says Meghan Gibson of the Hibernian Society of Utah. "This year's parade will be celebrating the 150th Anniversary of the Golden Spike and the contributions made by the Irish in the completion of the railroad." The Transcontinental Railroad was finished at Promontory Point in northern Utah on May 10, 1869. The parade begins at the intersection of 500 East and 200 South at 10 a.m. and heads west on 200 South, concluding at the Gallivan Center between State and Main streets. The parade will run about 90 minutes and will be followed by a Siamsa—that's Gaelic for "celebration"—at the Gallivan Center, featuring offerings from Bohemian Brewery as well as traditional Irish cuisine. There is no charge for entry into the Siamsa. Head over to Mountain West Hard Cider for an alternate parade afterparty until 6 p.m., or stick around the Gallivan Center for a free bagpipe history lesson and performance at 6:30 p.m.